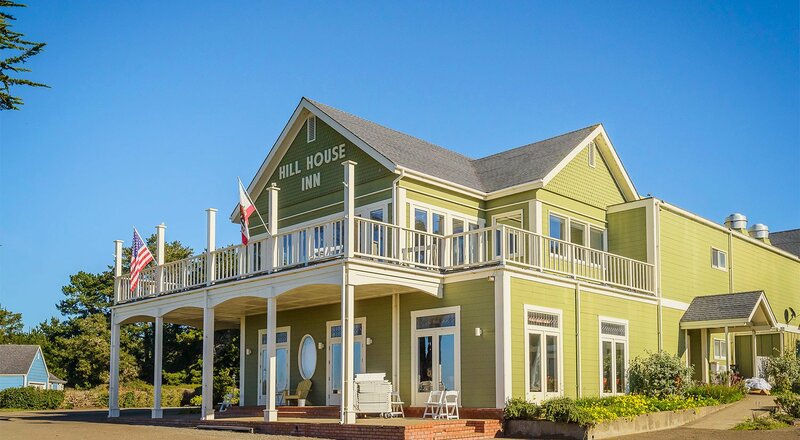 Overlooking the Pacific Ocean, Hill House Inn sits on Palette Drive off of the Shoreline Highway 1 in historic Mendocino California. 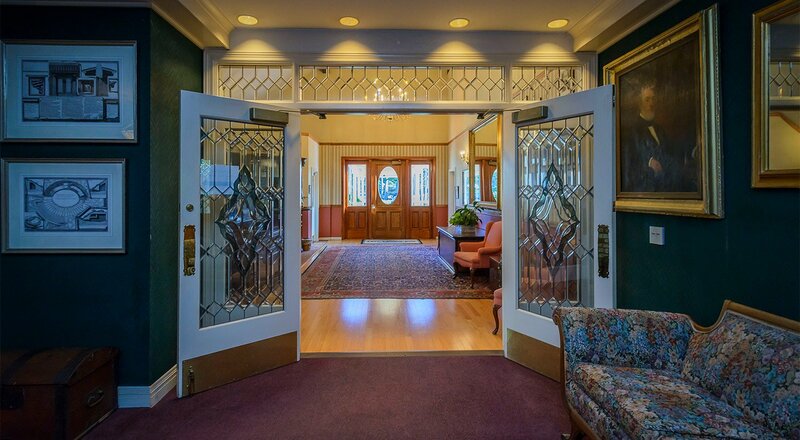 We are ideally seated near the Little River Airport, and the larger Sonoma County Airport and San Francisco International Airport are further away with a scenic drive. Our location is minutes away from miles of immaculate coastline, and nearby forests like the Jackson Demonstration State Forest and Headlands State Park provide a perfect backdrop for hikes and wildlife watching. The Kelly House Museum, the Ford House Visitor Center, The Guest House Museum and the Temple of Kwan Ti are within walking distance of the Inn. Navarro Point Preserve and Mendocino Headlands State Park provide visitors ample opportunities for whale watching. Our location makes it easy to take a scenic drive, visit a gourmet restaurant, explore Mendocino’s budding art scene, or enjoy wine tasting at the many wineries in the area. 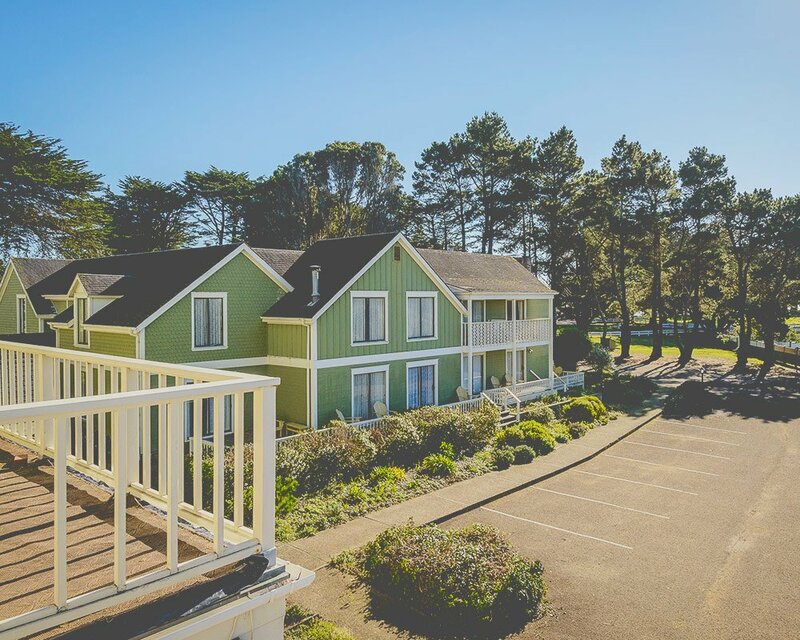 Whether guests want to explore Mendocino by bike, kayak, canoe or horseback, it is all available minutes from Hill House Inn. 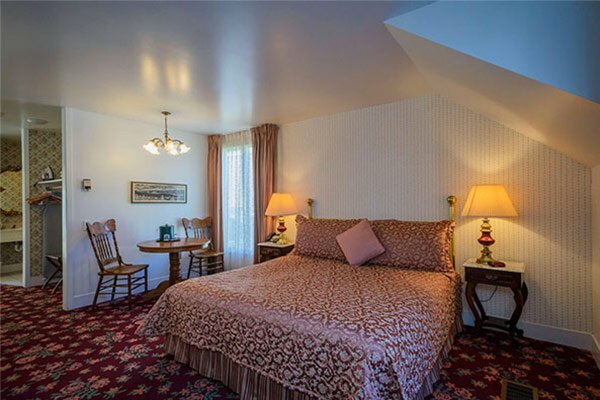 The Hill House Inn provides guests with amenities and dedicated services to inspire a relaxing stay. Guests appreciate our tranquil atmosphere and helpful front desk staff. Featured services and comforts of the property include our meticulously manicured gardens, a picnic area, and complimentary WiFi. Relax by the fireplace and read a complimentary newspaper, or enjoy our complimentary coffee and tea service that is available in the lobby. Additional conveniences include wake up calls, complimentary on-site self-parking, meeting rooms, and concierge service. Our Cabot Cove Restaurant & Conference Center provides ample space for weddings, birthdays, meetings, and retreats. Mendocino County is home to miles of pristine coastline, towering forests, and a seemingly endless array of outdoor activities. Guests to the area can enjoy quiet walks along the many nature trails that are located in Mendocino, as well as view waterfowl and local birds at MacKerricher State Park, The Mendocino Headlands, and Big River. Spend an afternoon of guided horseback riding along the ocean or inland through the redwoods, or visit a local lighthouse. Seated two miles north of Mendocino guests of Hill House Inn will find Point Cabrillo Light Station State Historical Park. Additionally, the Point Arena Lighthouse is located less than one hour from Hill House Inn. The Navarro Point Preserve and Mendocino Headlands State Park are nearby and are proven to be an outstanding vantage point for whale watching, sport fishing or diving for abalone. Abalone diving is highly restricted throughout Mendocino to protect against poaching. Guests wanting to dive for abalone will need to obtain proper licensing and an abalone card with current tags before being allowed to dive and harvest abalone. Mendocino offers kayak and canoe aficionados seven different rivers to navigate along the coast, as well as the Big River that is located south of Mendocino. Kayak and canoe rentals are nearby and allow guests an opportunity to explore miles of riverfront exploring the Noyo and Ten Mile River, or kayaking in the Pacific Ocean. The entire family will enjoy a ride on the Skunk Train. This local favorite gently winds through the forest as it follows the coastal ‘Redwood Route’ reliving a bygone era just as it has done since 1885. 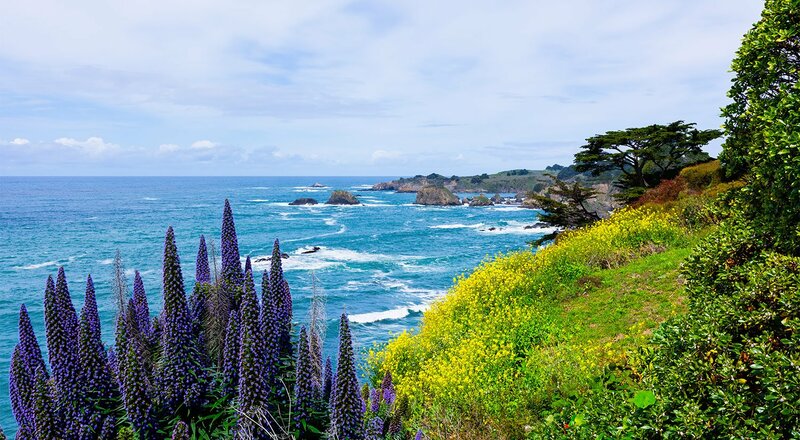 Mendocino offers visitors a wide variety of restaurants, wineries, breweries, boutique shops, and entertainment. A getaway in Mendocino provides something for everyone. The Hill House Inn enjoys the reputation of having "the largest private and public spaces available for weddings, meetings and retreats on the North Coast." Guests that are 55 and older can take advantage of exceptionally low pricing with our Senior Discount. 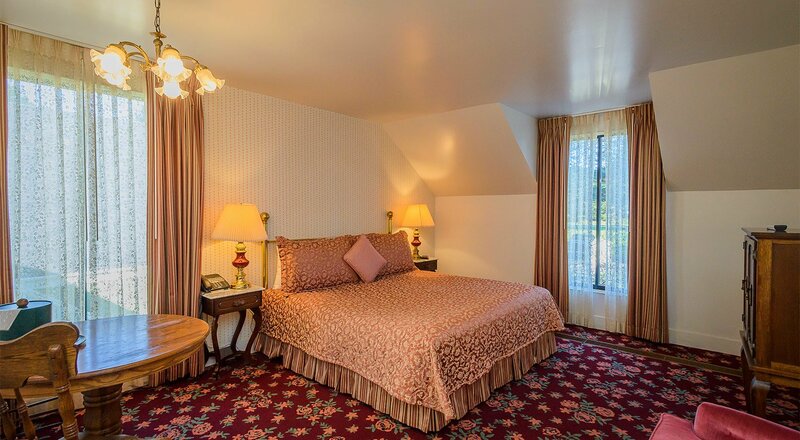 Go ahead and treat yourself to a relaxing stay and save money at Hill House Inn. We’re also proud to offer special discounted rates for all active military personnel, whether you serve in the U.S. Navy, U.S. Air Force, U.S. Marines or U.S. Army. It’s our way of saying “thank you” for your hard work and contributions that make our country great. It’s an honor to have you stay with us. So we invite you check out our special rates for military personnel—and welcome you to stay with us today. 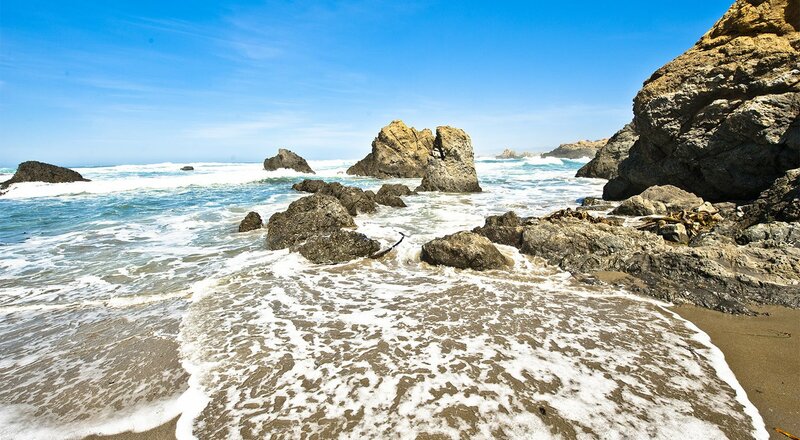 There are a wealth of activities on the Mendocino Coast. The combination of great weather, proximity to the ocean, and giant redwoods throughout the area combine to provide outdoor activities of all kinds. Because this is a tourist destination (albeit largely undiscovered), the indoor activities are just as numerous. In particular, there is a thriving artistic community, and there are a lot of excellent restaurants. Finally, the valleys leading to the coast have proven to be excellent for growing wine grapes, and there are now wineries and tasting rooms all over the county. We chose Hill House Inn to celebrate our anniversary. The location is perfect for a quiet getaway. Our room was beautiful with fantastic views of the ocean, and the staff was very friendly. We will definitely be coming back. We were here for a little getaway and were very happy with everything. Our room was very pretty, and the staff was welcoming. We felt like we were family instead of guests in a hotel. We were able to walk to the museums and other attractions that we wanted to see.